The remodelling of the North Pier area is now almost complete, just before the scheduled reopening of the tramway as described below. Looking South towards Pleasure Beach the track is totally complete and ready for testing. The 3 track layout previously here is now slightly further South to allow for the installation of this point which is leading up Talbot Road. 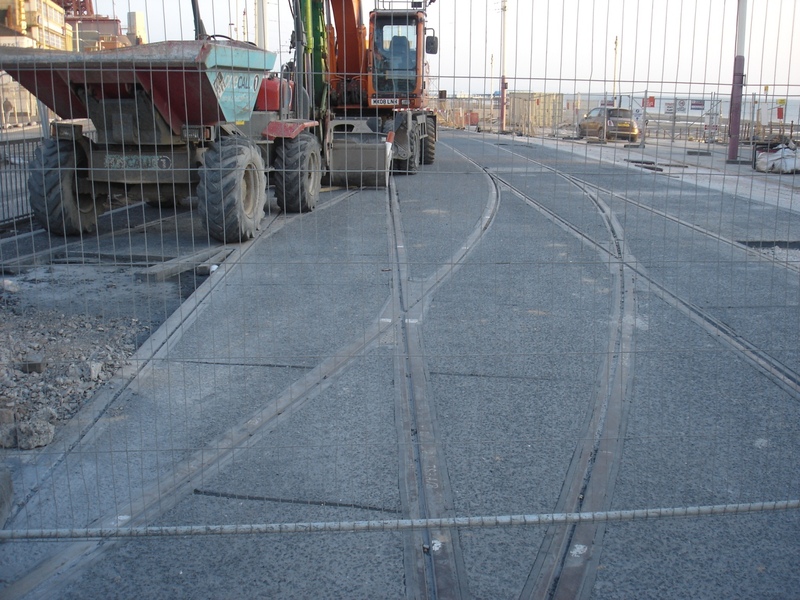 The view North at North Pier shows the track to be complete and the point currently leading to nowhere. 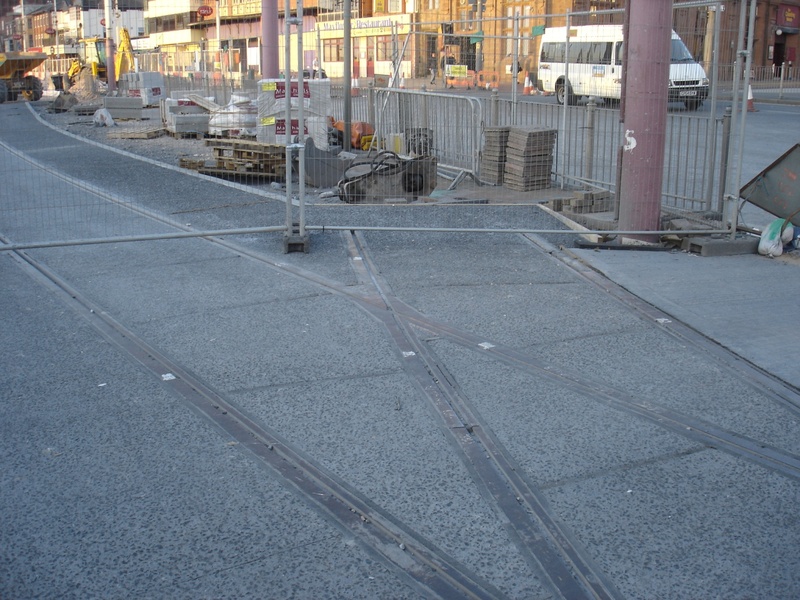 The plan for 2012 is to extend the tramway up to Blackpool North Rail Station with points leading South and North in place. Blackpool Transport have just announced that the tramway will reopen on Friday the 22nd of April, just in time for Easter. The timetable shows late starts with the first journey from North Pier at 09:35 and Pleasure Beach at 09:20 with finishing times at 21:40 at both ends. In between these times trams are scheduled to operate every 15 minutes which is most likely to be made up of Centenary Cars and occasionally Brush cars. Hopefully Easter will bring more interesting trams out on specials, though numbers will be very limited until further track is completed allowing for further sections to be opened.